This article is all about the latest collection of Pakistani bridal long tail maxi dress designs 2019. Every bridal has a cherished desire to put on something unique and high quality fancy maxi dresses on her special wedding day. 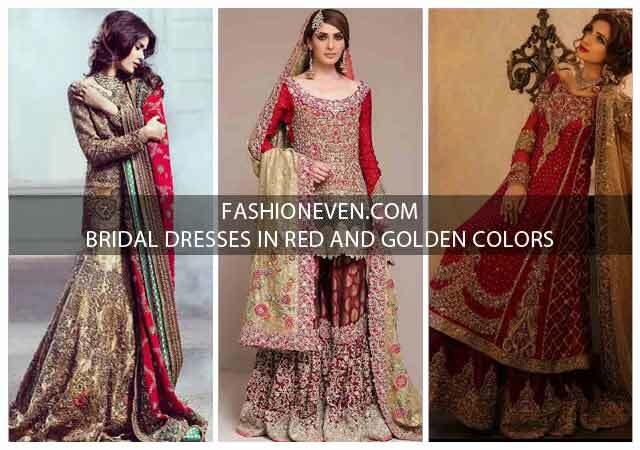 Nowadays, it seems to be rising fashion trends in Pakistan to wear lighter colors on wedding or barat day instead of get into traditional blood red bridal maxi dresses. 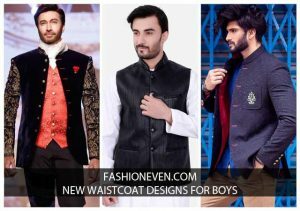 In 2019, Pakistani maxi dresses collection includes a variety of lighter colors such as gray, pink, peach, beige, off-white and so on. Although, every bridal must implicate a touch of red color for her traditional look either by wearing red dupatta on head or a bit of needlework in her bridal dress. Scroll down to see Pakistani bridal maxi dress designs with pictures. Beautifully encrafted new styles of Pakistani bridal maxi dress designs are full of delicate embellishments, fancy work and handmade decorative needlework embroidery all over. 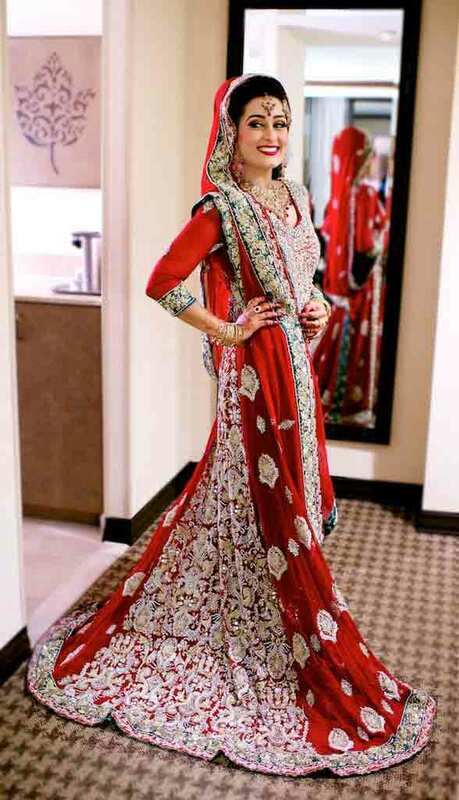 Pakistani wedding brides invariably pursue the distinctive bridal maxi dress styles, color combinations, fabric used and sheer convenience to carry the bridal dress on her wedding day. Asian wedding wear is known intimately all around the globe, because of its cultural and traditional bride and groom matching outfits. Latest collection of bridal long tail maxi dress designs in Pakistan has been showcased below with images. This collection covers a wide range of heavily embroidered fancy maxi dresses from chiffon to net maxi designs for bridals. The intricate traditional craftsmanship of Pakistani long tail dresses for bridals, indulge everyone towards the beauty and sheer elegance of the wedding dress. This article will help you to answer the following questions that arise in the mind of almost every Pakistani bridal. What should a bridal wear on her special wedding day? 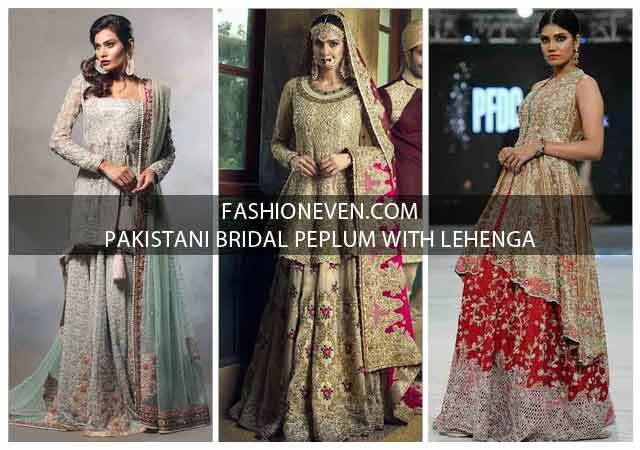 Lehenga choli, long tail maxi dresses, bridal saree, bridal gown, short frock peplum tops with lehenga, front open long shirt with lehenga, bridal short kurti with lehenga or angrakha style bridal dresses in Pakistan? 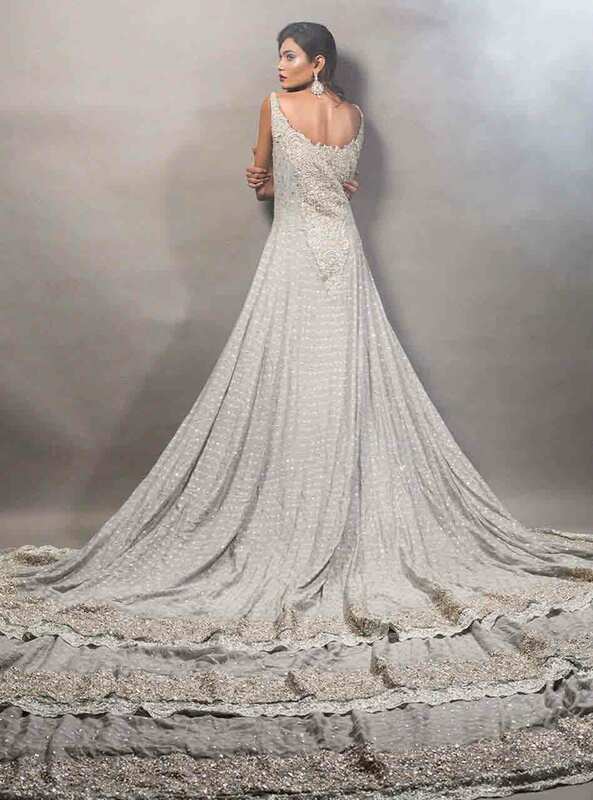 What colors are trendy for bridal maxi wedding dresses in 2019? 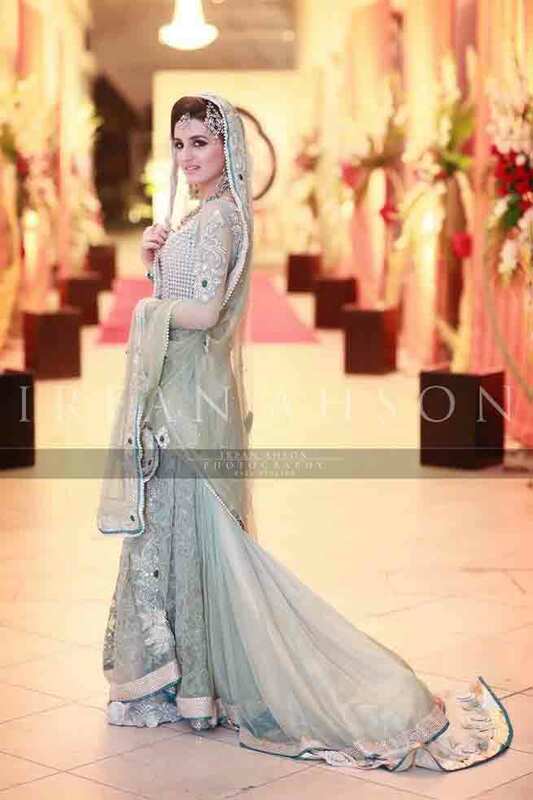 What is the bridal maxi price in Pakistan? 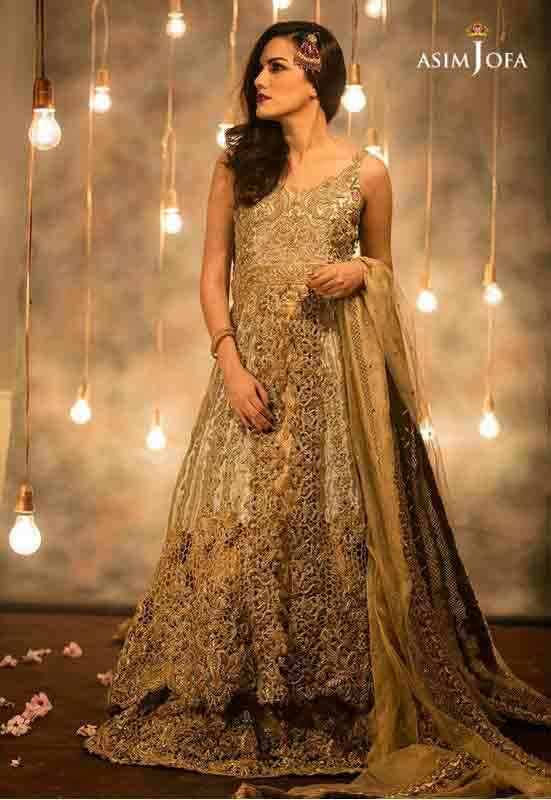 How to buy bridal maxi dresses in Pakistan? 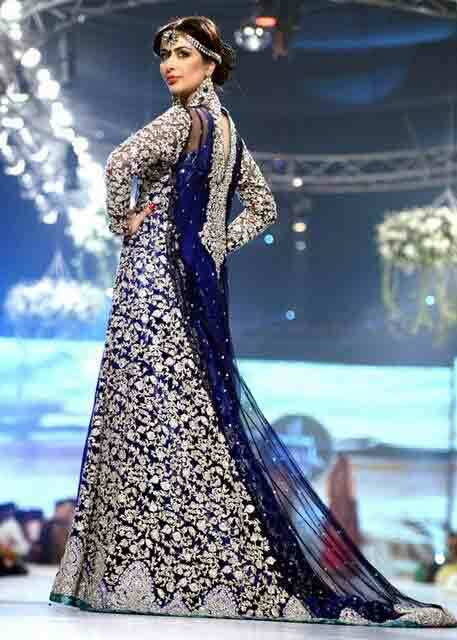 Which Pakistani fashion designers are widely known for bridal long tail maxi dresses? As we have mentioned earlier, nowadays there are numerous options available about the bridal wedding dresses to choose from. The year 2019 is all about something classy, unique and exclusively customized bridal dresses in Pakistan. In these times, Pakistani long tail maxi dresses for bridals, are at their peak. Every fashion industry is working hard to launch the bridal wear collection for 2019. Maxi dress designs for bridals are bejewelled and decorated with precious stones in a contemporary silhouette that is purely a visit to an inexorable personification of a modern fairy tale. Therefore, without any further perplexity, pick your new bridal dress from our filtered collection of latest Pakistani bridal long tail maxi dress designs 2019. Pakistani maxi dresses are one of the most splendiferous bridal wear of 2019, because of the brilliant radiant beauty and glory that charms everyone around. As we are aware of a fact that the lighter color palette has been the cardinal of bridal collection revealed by top Pakistani fashion designers, hence choose any of the following bridal long tail maxi dresses with pastel colors, (Pastel colors represents the soothing or soft colors range that is near neutral) such as baby blue, gray, light blue, off-white, beige, light pink, lime or peach. For a traditional bridal look, you may wear red dupatta with any of these long tail bridal maxi dresses that will surely grab the attention of all people. Usually the bridal wear collection entails high prices and dress designer brands DO NOT reveal the price range of bridal dresses on their official websites. 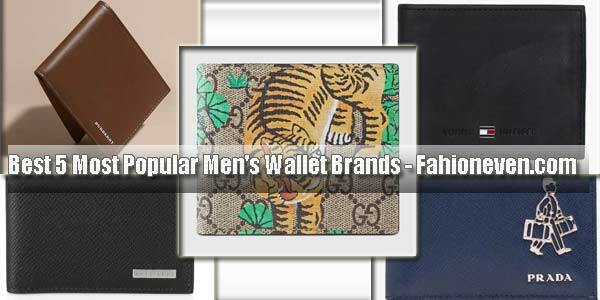 For the reason that all of these bridal dresses including (Pakistani long tail maxi dress designs) are adorned or decorate with rubies, emeralds, and sapphires – A precious transparent stone of rich blue corundum valued as a gemstone. 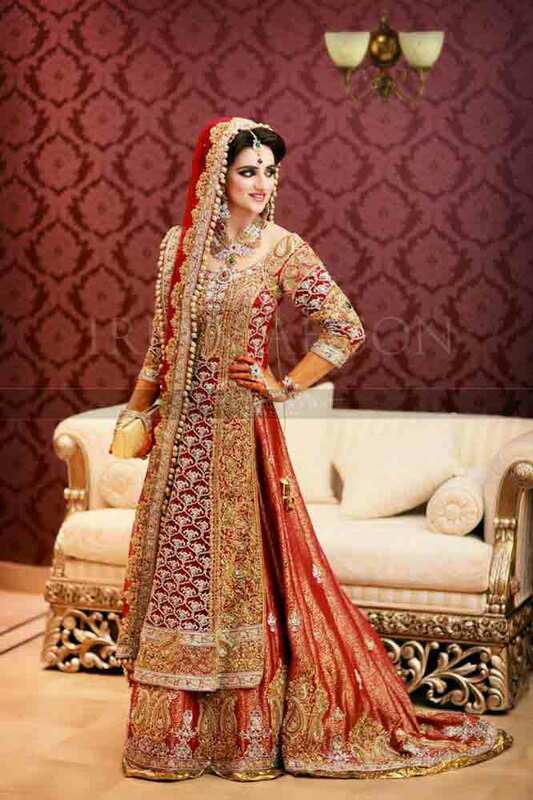 The aggregate price range of Pakistani designer long tail bridal dresses starts from RS. 200,000/- to 1,000,000/- plus. Though the price range for non branded bridal maxi dresses starts form Rs. 40,000/- to 150,000/- plus. If you are worried about your maxi dress, then don’t fret at all! Here we have gathered a plenty of bridal dresses for you that will make you stand out from the crowd. 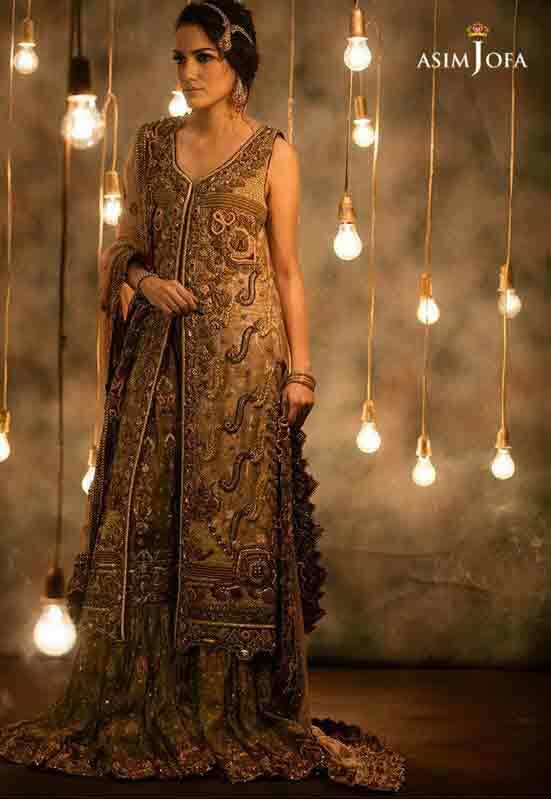 You can buy all of these bridal maxi dresses from the official stores or outlets of Pakistani fashion designers such as Zainab Chottani, Tena Durrani, HSY Studio and others. This collection of Pakistani long tail maxi dresses is available online as well, you can place an order for your bridal dress on official website and book an appointment to get it ready before time. You can contact us if via Contact Form or comment below for any questions regarding maxi dress designs 2019. Enjoy the latest collection of Pakistani bridal maxi dress designs that entails the unique set of hues from the palette. All of the following bridal maxi dresses includes the exuberant thread work with intricate craftsmanship on luxurious fabric in tones of light gold, gray, pink, peach, off white and royal blue. 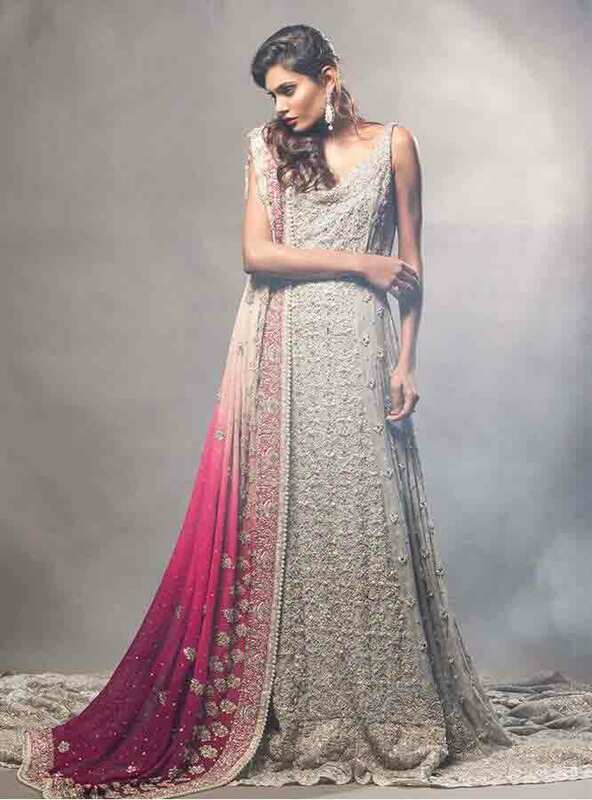 Dupatta with bridal maxis, always comes with heavily embellished borders and patch work that appeals to everyone. Above you have seen the latest collection of Pakistani bridal long tail maxi dress designs 2019 with images. If you like any of these bridal dresses, then comment below or share this page. You can ask anything about these long tail maxi dress designs, we read and reply to every comment by heart.